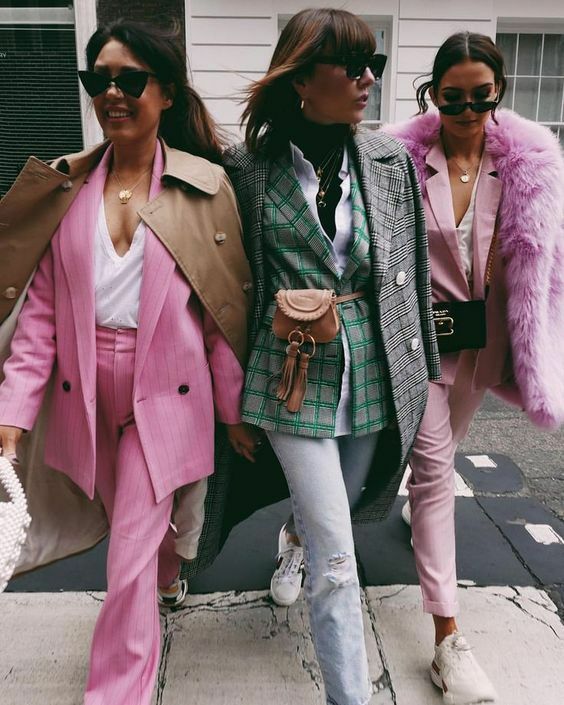 Find fashion career advice, internship opportunities, fashion job listings, style careers, retail jobs, job advice, fashion design jobs, social media and pr internships, stylist and buying jobs and more on Style Nine to Five! Setting the tone for the day is so important. We’ve all felt that awful feeling of waking up on the wrong side of the bed. Once you wake up in a bad mood or a weird mood, it’s really hard to shake it off. Here at SNTF, we’ve come up with some sure-fire ways to help you start your day off right. The feeling of rushing around in the morning, probably forgetting things, and not giving yourself ample time to adjust to the morning, really gives you a feeling of unease and anxiousness throughout the day. We recommend setting an earlier than usual alarm, taking your time to wake up in bed, and not feel like your rushing while you’re getting ready. You’d be amazed at how much better and at ease you will feel throughout the day. You’ll also feel productive. You’ve started your day earlier and have had so much more time to accomplish things on your to-do list. Start your day with good intentions. One of our favourite things to do is write in our Five-Minute journal in the morning (they can be purchased at Indigo or Amazon). This journal gives you daily prompts and time to think of the things you’re grateful for, want to accomplish and think of daily affirmations. 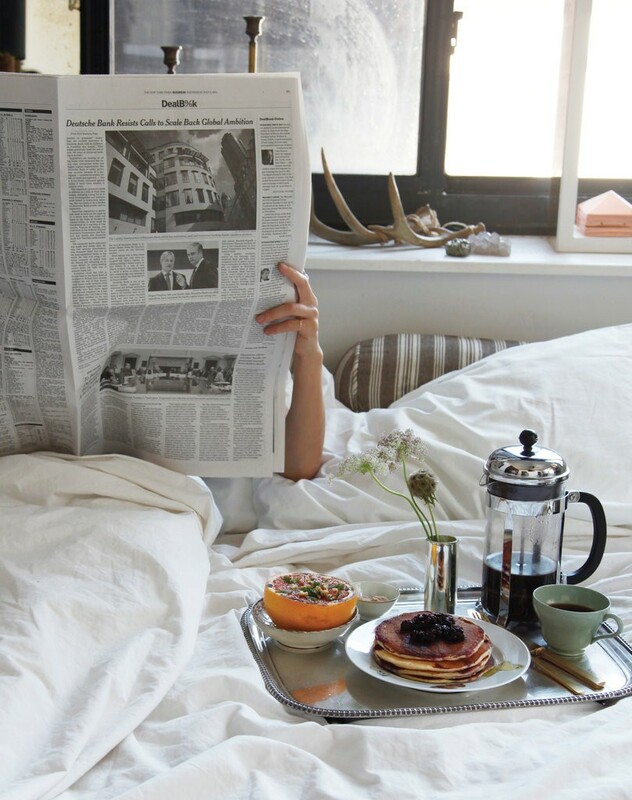 It’s a great way to have some ‘you’ time without making a huge effort in the morning. Keep this journal on your bedside table and make these first five minutes a routine. Meditation takes a lot of time and practice to fully get into the groove, but there are great apps like Headspace that can help you with this practice. Through guided meditations, all at varying lengths to suit your lifestyle, you are able to clear your mind and tap into your emotions and how your body feels. Doing this in the morning is like having a daily check in with yourself. You can tell if your body needs a bit more love, if you need to take it a bit easier, or if you feel great! Start your day with a workout, stretch or yoga. Getting your body moving is a fantastic way to wake yourself up and feel energized. You get all your endorphins going and just feel like you can conquer the day. The best part of the morning is breakfast. Whether you eat light or you make a full, cooked breakfast, eating a nutritional meal is the best way to start your day. You will be moving and thinking and working, meaning you need some gas in your tank! Try making overnight oats with fruit, or boiling some eggs for breakfast. Set your day up for success. Starting a brand new fashion job (or any job) can bring on feelings of both excitement and anxiety followed by fear of the unknown and the pressure to do your best. Your work ethic during the first 30 to 90 days of employment are extremely important in regards to setting the stage for your future with that company. Not to add any additional pressure, but your first few weeks/months of employment may also determine whether or not your employer thinks you’re an asset to the business. Don’t make a scene. How annoying is that new person? You don’t want to be that person who annoys existing employees within the first week. You’re the new kid in town and you’ve got to prove yourself before you alienate yourself. There are two objectives that you have to demonstrate: (1) that you’re capable of the tasks required of your job; and (2) that you’re going to fit in with the existing company culture. Work your hardest to ensure all of your responsibilities are covered and pay close attention to your surroundings. Get a feel for the swing of things and the daily workflow of different departments. Observe the habits of your colleagues and try to blend in with their schedules (lunch, breaks during the day, time in and time out). Once you feel the attention is off of you and you’re suddenly not so new, you can branch out and start making your own rules (within limits, of course). Offer to help. We all want to be seen as ambitious and willing to take initiative, but there’s a time and a place for everything. As a new hire, getting your feet wet by offering to help coworkers with their projects will go over a lot better than jumping in head first with brand new ideas and a push for immediate changes. Without knowing how things are currently progressing, how can you be absolutely certain that your method will be better? If you’re confident in your abilities and you know change is inevitable, give your newness a few weeks to sink in before moving forward. At the risk of being hated by everyone whose work life you just disrupted, it may be worth the wait. Help out in departments that impact your overall objective and get an in depth idea of current practices before suggesting changes. Make your first and only impression. My last piece of advice is to project yourself in the way that you wish to be perceived. From the way you dress to the way you speak, in your first few days of employment, these characteristics will come to define you. A new job is a great way to reinvent yourself and to walk into a new environment with confidence. Unfortunately, you will be judged – that’s what people do – but you have the upper hand here because they don’t know anything about you. You’ve got a clean slate to be a star employee, to make an impact as you pursue your career, and to meet people who are just as passionate as you are about their jobs. It’s safe to say it felt like spring would never arrive this year. And with the start of the new season just days away, it means it’s almost time to retire our parkas and grab something lighter and more fun. Spring is the time of year where everything feels fresh and full of happiness and your outerwear choices should reflect that! While the classic trench coat or camel pea coat is always in season, there are five more styles we’re all for this year. What better way to make it known that spring is here than by wearing bright colours. Retire your classic leather jacket and try this coloured trend instead. Many coloured leather jackets have other fun features as well. 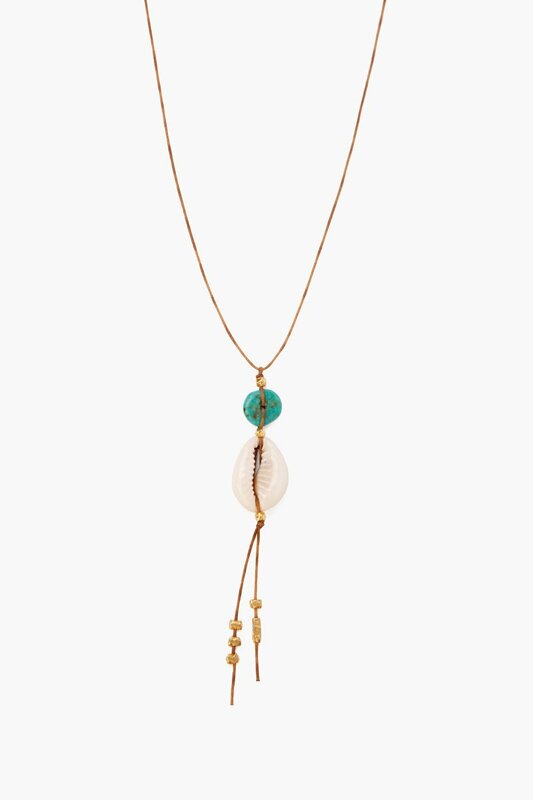 If you want to go full out with this trend, try one with tassels or a bejewelled belt. Just like a trench or light peacoat, an oversized blazer is always in style. 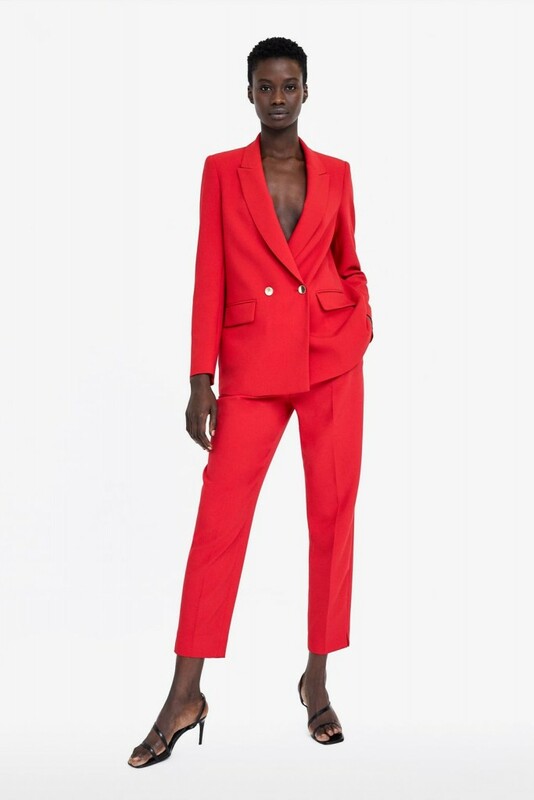 Pair it with a loose-fitting dress to get an ‘80’s feel, with skinny jeans and a blouse for after work drinks, or with a matching pair of trousers for a bold power suit. The options with this jacket are endless, which makes it a great investment piece for spring. 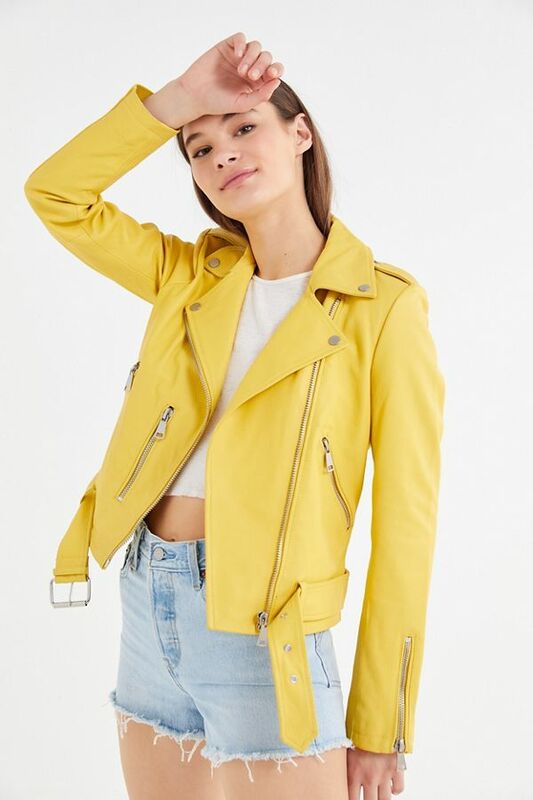 When you just need a jacket to grab and go, you want something that’s a little warmer than a bomber jacket and can be styled with everything you own. 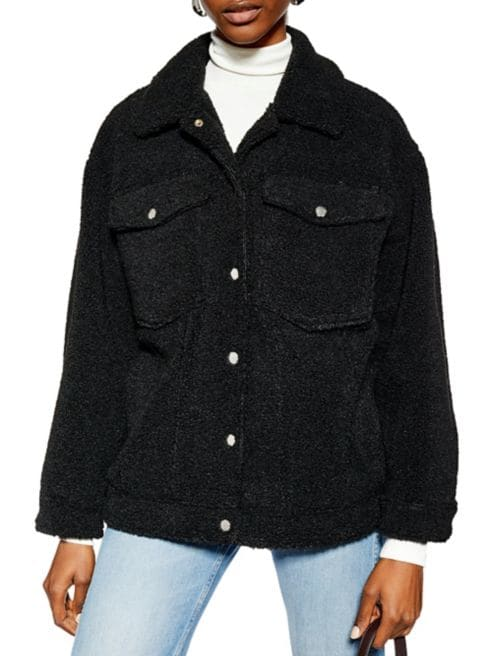 We love this Borg jacket from Topshop because it’s perfect for running errands, throwing over a turtleneck and jeans for a casual brunch, or over your work clothes for a night out, which makes it super versatile. We can all picture the classic Chanel bouclé coat. It’s probably the first thing that comes to mind if you think either Chanel or bouclé. This jacket has an air of elegance and class. Paired with a pencil skirt or denim, this jacket will elevate every outfit you choose. 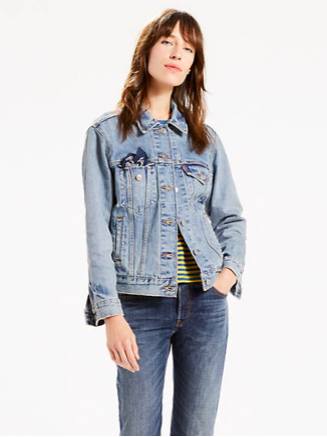 What screams spring more than a denim jacket? It’s light and can be casual and edgy at the same time. Put on a floral, flowy dress and top it with an oversized, light wash, denim jacket and you have the ultimate spring outfit. This is an investment piece that will never go out of style. Find fashion jobs, style careers, retail jobs, job advice, career advice, job listings, careers, fashion jobs, social media internships, retail jobs, fashion design jobs, buying jobs, fashion stylist jobs and style careers on Style Nine to Five! 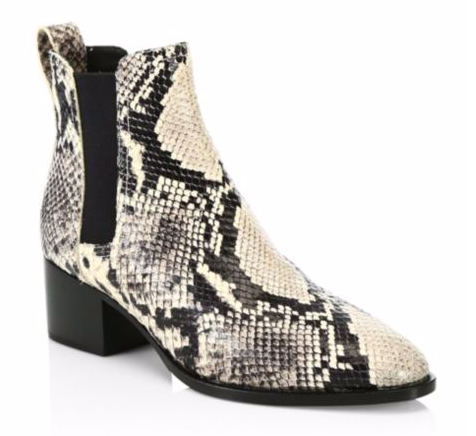 Get a jump on spring shopping and pick up some snakeskin pieces hand picked by our founder Christie Lohr. All items below are shoppable. 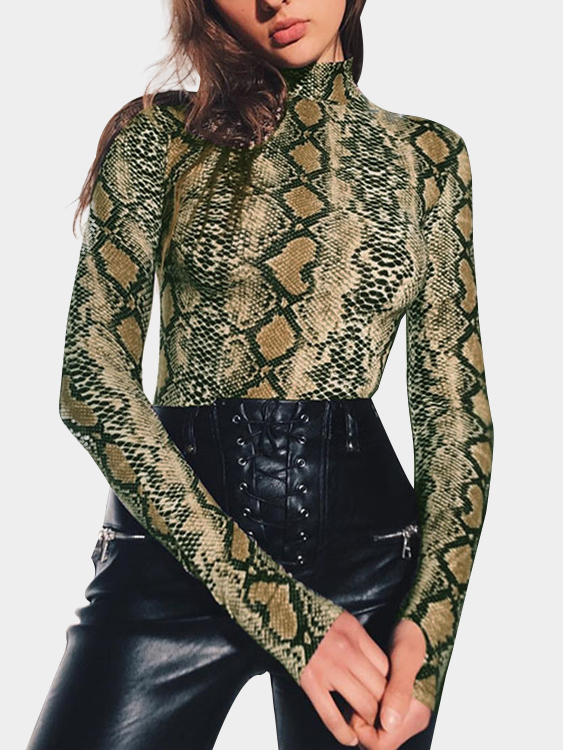 Snakeskin turtleneck, $21 CAD – wear on its own or under a blazer for the office. Building a positive relationship with your manager or boss will allow them to think of you for future opportunities. This doesn’t mean you need to be best friends, but establish the type of connection where you feel comfortable to approach them and hold a friendly conversation. Let them know what your goals are and the direction you wish to take within the company. Your boss can offer a great form of guidance or mentoring and help you get to where you want to go. Show that you are ready to take on a higher position by asking for additional tasks that will prove you are capable to work a job at the next level. Take initiative and offer your time when volunteers are needed for new assignments. Come in earlier or stay later and be willing to work outside of your job description. If you are able to complete multiple tasks effectively, people will take notice and suggest you are fit for a more complex role. A new job position will require you to be knowledgeable in different areas and obtain certain skills. There can be several employees that are worthy of a promotion, therefore it is important to stand out and have a beneficial skill set. Keep up to date with any technology or systems used on the job and always be aware of what’s happening in the industry outside of the office. If you are well known within your field, the more likely your name will be passed around and recommended. Get to know all of the people you work closely with and even those in other departments. Try to socialize and learn new things from colleagues who currently work as your aspiring job title or who have been previously promoted. Actively participate during team meetings and state your opinions or ask questions. Come across as someone who is interested in the conversation, rather than never having anything to say. This will demonstrate your value and ability to contribute useful ideas. This may seem obvious, but sometimes all you need to do is ask! A promotion or job opening may not be brought to your attention simply because no one knew you were interested in the first place. Make it clear that you want to do something new and progress towards a different role. Don’t be afraid to ask for advice or feedback on your performance, so you can highlight your recent accomplishments and know how you can improve. So you’ve made it through the gruelling questions about your strengths, weaknesses and everything in between during your interview. You may have sweated through your entire suit and feel like you’ve lost all your breath from your chatter, but the end is near! Before you’re able to go out and breathe a sigh of relief, your interviewer will most likely ask you if you have any questions for him/her. This is an important aspect of every interview that is not to be ignored! Potential employers want to see that you have a genuine interest in learning more about the job and organization, before you even start your first day. Responding to this with a simple “no, not at the moment” could come across as lazy or disinterested. If you have some questions already in your mind, that’s great, but also feel free to ask anything that still may be unclear from the job posting or interview session. Here are five key questions to consider asking your interviewer before you race out the door! 1. What is a typical day like on the job? You already should know the key responsibilities and duties from what you’ve read from the posting or have been told, but this may allow you to get a more in depth description of your role. It will help you to envision yourself on the job and mentally prepare yourself for your first day if you are the successful candidate! 2. How is feedback given here? Whether it may be monthly performance reports or simple informal chats with your manager, it’s important to know how you’ll find out whether you’re doing a good job or not. 3. What is the workplace culture like? You may be spending forty or more hours of your week with these new coworkers, so it’s good to know how people interact with each other and what values are important to them. It’s also good to add on here whether they do activities outside of work, like team building trips or retreats. It’ll be nice to hear if the interviewer says everyone who already works there together gets along and if they have values that match up with yours! 4. What do you like about working here? This can be a great determiner of whether you yourself will like working at the organization or not. If they respond with something like “it’s easy money” or something uninspiring, then chances are they don’t actually like working there! If they give an in depth response, explaining it’s a great environment and fulfilling work, then it’s more likely they genuinely enjoy their work. 5. What are the key challenges to your organization right now? This way you can see if the interviewer can actually evaluate their organization’s current position and they now what the company needs to work on. If they tell you everything is just peachy keen, then they are lying! Or they really have no clue what the company’s goals are and what they need to overcome to accomplish that. If they explain to you some of these challenges, then you can see how you would be able to help conquer these roadblocks using your skills and traits. Asking some or all of these question will help you get a better sense of what it will be like to potentially work in the organization, and will also help you feel so much more prepared for your first day if you do indeed get the call back for the job. Don’t be afraid to take notes when they answer these questions and pay attention! You’ll be able to leave your interview in a much better mood knowing you impressed your potential employer with these key questions. Inspiration Picture: Courtesy of https://sechselement.com. You can always have the perfect outfit, but it won’t feel quite complete without the right jewellery. Just like fashion, jewellery trends change with the seasons and years. While dainty jewellery is always a good go-to, bold, statement pieces are what every fashionista can’t get enough of this year. 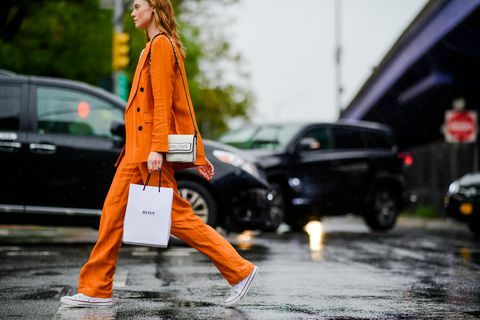 If your wardrobe needs a refresher, these are the trends we can’t get enough of that will take any outfit up to the next level. Who doesn’t love a little bit of bling? 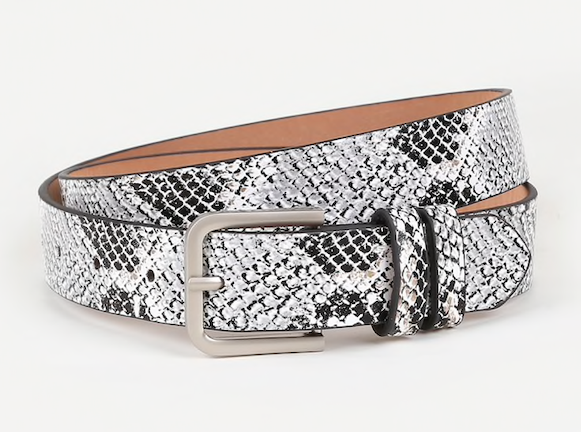 This year, you can instantly up your outfit with a serious dose of sparkle. 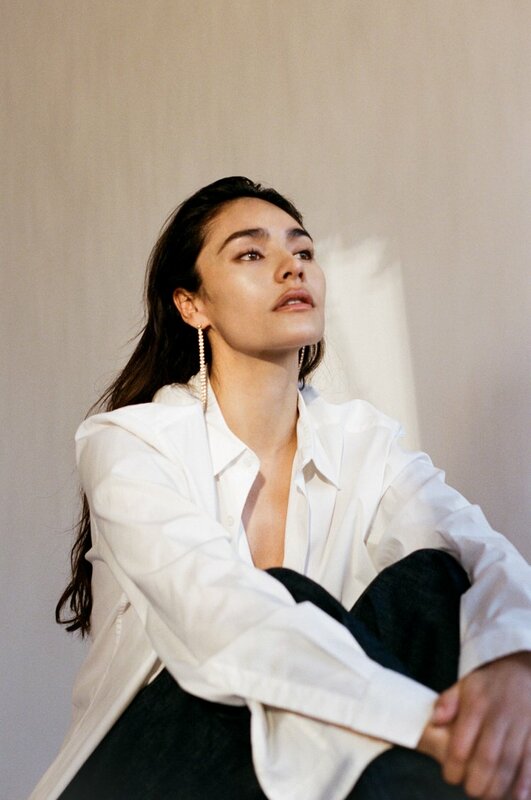 This is easily one of our favourite trends because a pair of crystal earrings can be paired with everything from velvet bustier tops to T-shirts. This trend has already exploded, and we see no signs of it slowing down. Hearts aren’t just for Valentine’s Day anymore. 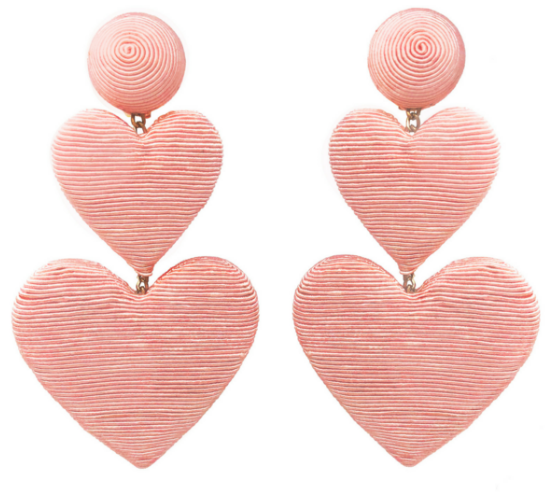 From statement earrings to necklaces, hearts can be integrated into any piece of jewellery. 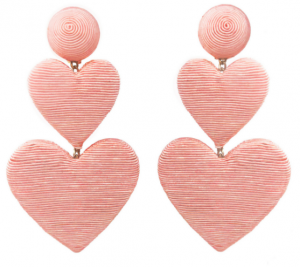 Take a look at an ‘80’s outfit, and hearts will be everywhere. It’s time to take that trend into 2019 and beyond. This might be the most surprising trend we’ve seen so far this year. What better way to feel like you’re in Hawaii than wearing shells. Now, we’re not talking those touristy pucka shells. This trend has become elevated and bold. To go with the warmer weather we seem to finally be getting, why not be a bit playful with your jewellery. If you want the ease into the trend, try some gold hoops with shells dangling in the middle. 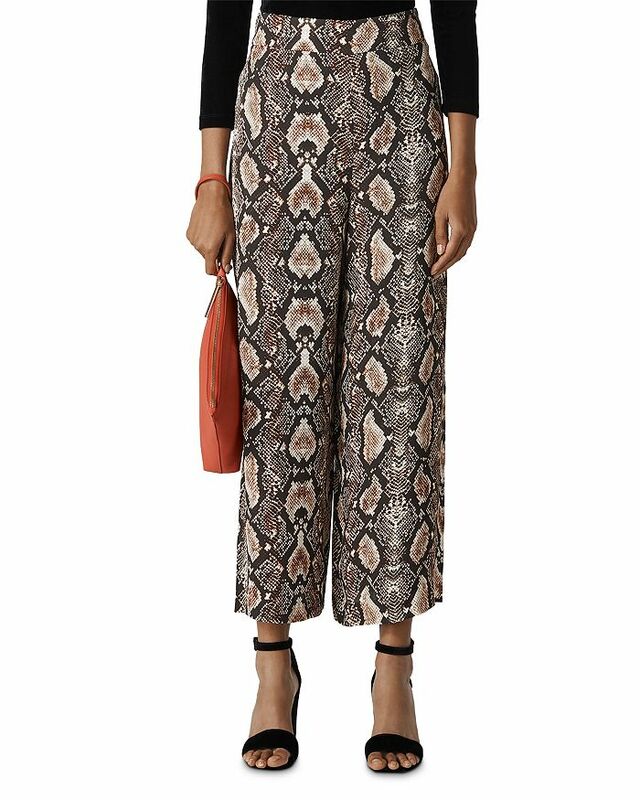 Chain-link print and jewelry are everywhere this season. From shirts and skirts to necklaces and bracelets. 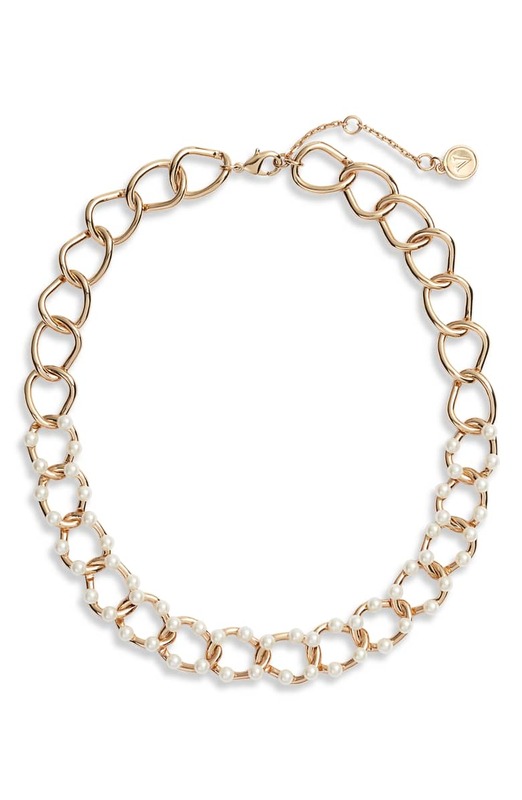 Large chain-link bracelets and necklaces in a chunky gold can take an outfit from girly to edgy. 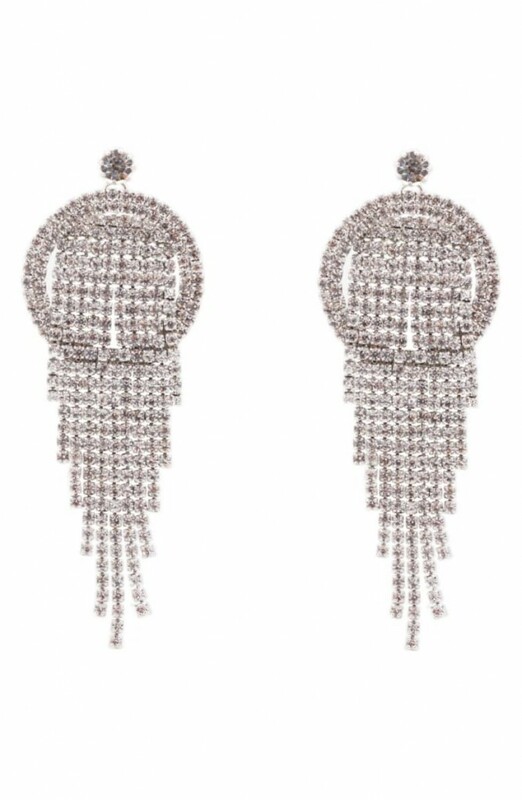 Diamonds are most frequently worn on everyday studs, but this holiday season you’ll be seeing them in elegant drop earring styles. When you find an exciting job to apply to after your online search using keywords like “Fashion Designer Jobs” or by visiting a company’s career website, how do you guarantee your resume and cover letter will be seen after you’ve had to create a profile, answer their long list of automated questions and then finally hit send? It can feel like your application is heading into outer-space, a black hole or a bottomless pit. Where is it actually going? Career websites can be a bit impersonal and most of the time you never hear a word. “I’d like to e-introduce myself. My name is ___ ____ and I just applied for the _____ position posted on your website. I wanted to personally reach out with my cover letter and resume to make sure it landed in your lap and would love the opportunity to speak with your further about the _____ role. If you’re applying to jobs on Style Nine to Five, your job already lands in the lap of the hiring manager. As soon as you hit our ‘apply online’ button, upload your resume and cover letter and then click submit, the hiring manager receives an email with your application right away as if you were emailing them personally. If you’re applying to a job on Indeed (or any career website like that), go directly to the company’s website to find the job at its original source. Many times you’ll find the direct email address for that job posting! Go directly to the source when you can, always. If you’re applying to a job on LinkedIn, it usually states who’s heading the recruitment for that role. Connect with them! Once they’ve accepted your invitation, you can view their contact details which includes their email address. When applying to jobs, or even wanting to connect with a potential employer to introduce yourself, you have to get creative and go above and beyond. Make yourself known that you’re extremely interested in working for them. 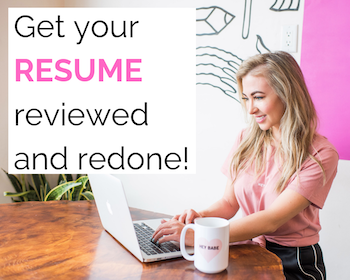 You still have to have a stellar cover letter and resume. I can help! Calling all Vancouver fashionistas! 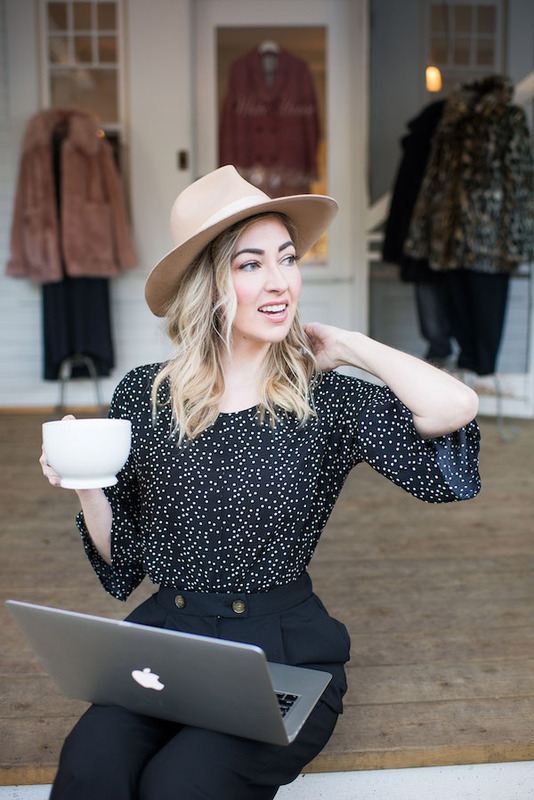 If you’re looking for a career in fashion, we’ve made it easy for you by narrowing down some of the most fashionable jobs in Vancouver. All you have to do now is polish up your resume and cover letter, and apply! Job Description: The senior print designer is an artist who specializes in creating originality through the art of print and pattern to elevate the Lululemon men and women’s product experience. This will require print design excellence through the connection of design, development and manufacturing. 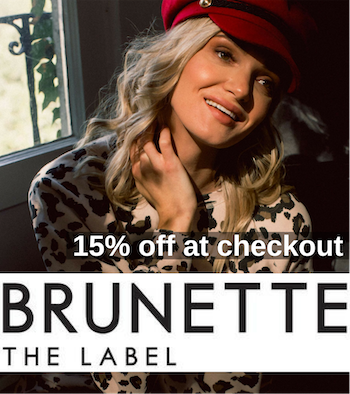 Job Description: You will be a colour expert at the seasonal product and capsule level. You must be well informed of current colour trends, art, fashion, design and sport related products through market research to keep ahead of consumer needs. You must also build inspiration concept boards to convey the seasonal colour direction. Job Description: This role is an independent contractor position that works with the Marketing Director. The ideal candidate will maintain a fashionable and professional image and have education and experience with personal shopping. Job Description: In this role, you will help with customer service, processing stock, inventory management, pulling orders, preparing orders for shipment, and warehouse organization. Job Description: Your responsibilities will include customer service, order processing & shipping, processing stock and updating inventory, office organization, periodically updating policies, and basic social media. Job Description: Style Nine to Five is looking for someone with two years of experience in recruiting for this industry and a proven track record of delivering results. You bring expertise in sourcing, networking, candidate research and cold calling. You’re amazing at communication and customer service: you share ideas and collaborate. It seems lately that Zara has absolutely taken over street style. In the past few years, they have changed from some European brand that didn’t seem as accessible in Canada, to a real contender in North American Fashion. So, how is it that Zara has become one of the of the biggest names in street style? By perfecting fast fashion as no other brand has. 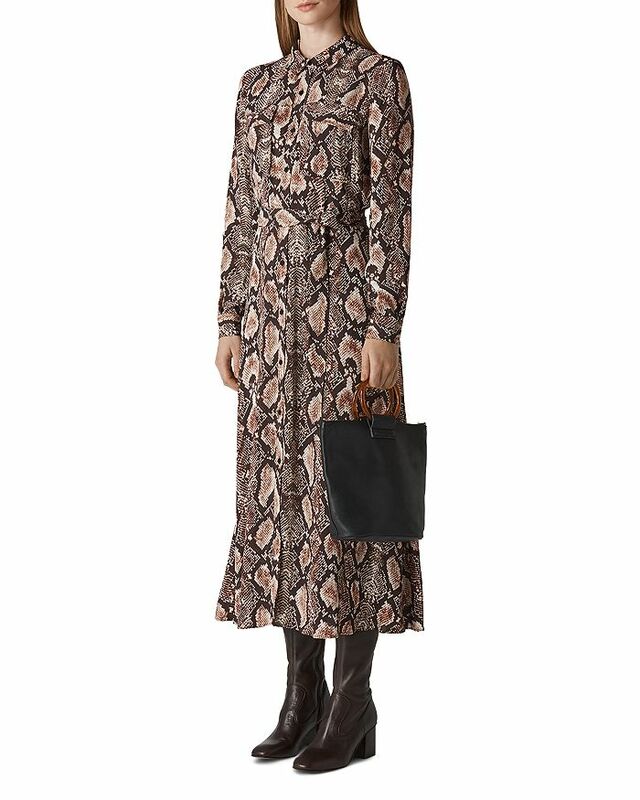 The products Zara produces are not what you would expect from a high street store. The styles are edgy, on-trend, and sometimes styles that you would only expect to see on runways. You can find everything from basics to layer to fun pieces to make a serious statement with. Zara pieces aren’t just catching the eye of street style setters, but celebrities as well. 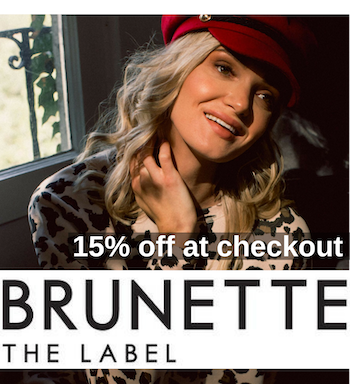 Not only are the products on point with the current fashions, but the quality is great, especially for the price point. Each piece feels like it was made by hand. You can tell the time, effort and love were put into each garment. That isn’t something you would normally find in a high street store. Zara is changing perceptions of what fast fashion can be. And honestly, you can’t argue with the price. You can wear a Zara outfit head to toe and someone would think you spent a fortune on designer pieces. It’s not the case at all. Yes, they will be more expensive than other high street stores like H&M or Old Navy, but it won’t break the bank. If you time your shopping right and go in when there is a sale, you could refresh your entire wardrobe for under $500. The sales are always amazing and the product always sells out quickly, so if you see something you love you need to act fast. 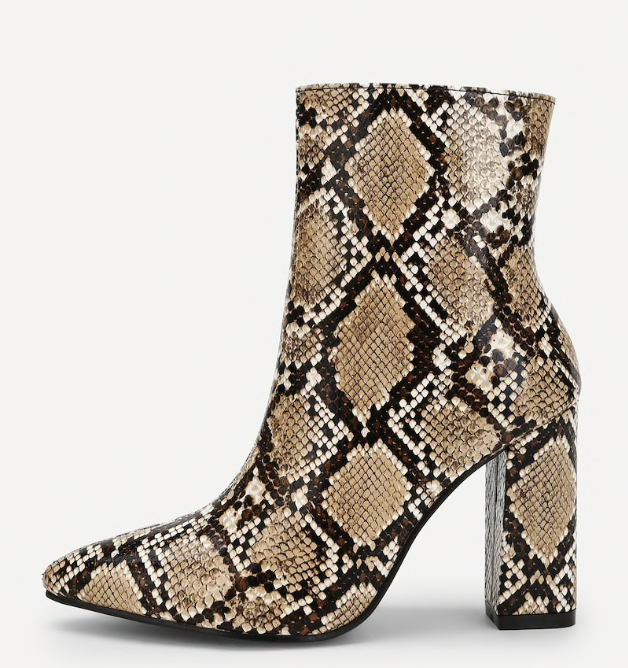 Zara has taken over high street style because of the combination of quality, price, and style. This brand has all three down to a science. When you’re shopping at Zara, if you find a top for $30, it doesn’t feel like it is a $30 top, it feels like it is a $150 top. You’re not compromising price for style or quality, which is why you see Zara everywhere now. 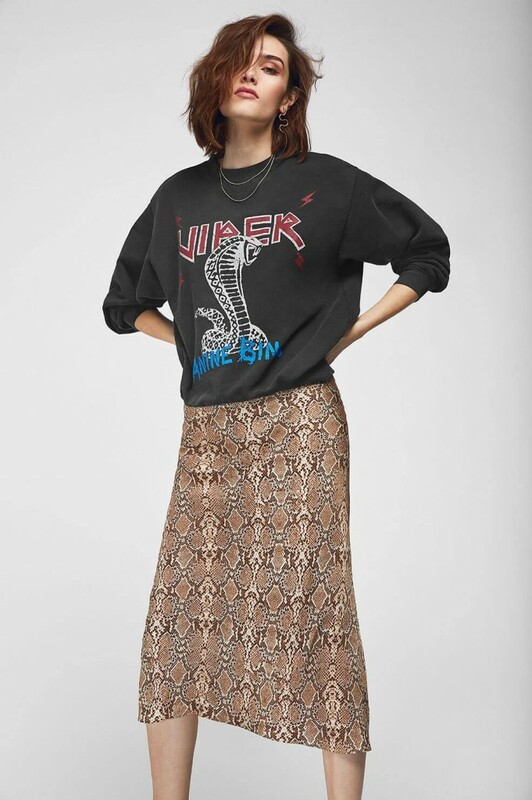 Zara has nailed its audience and studied the market. 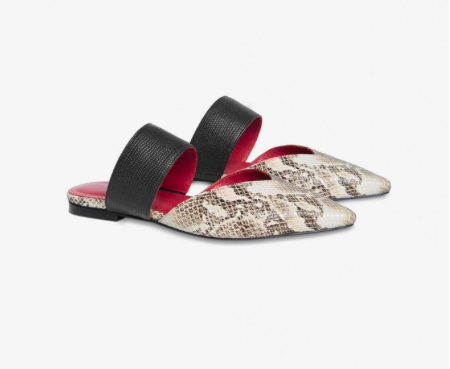 Much like their clothing, Zara pushes boundaries and doesn’t conform to what everyone else is doing. It allows them to stand out and make their own name for themselves.